The 25 year-old clocks 2:03:34, while Ruth Chepngetich and Worknesh Degefa go to number three and four on the women’s all-time rankings. 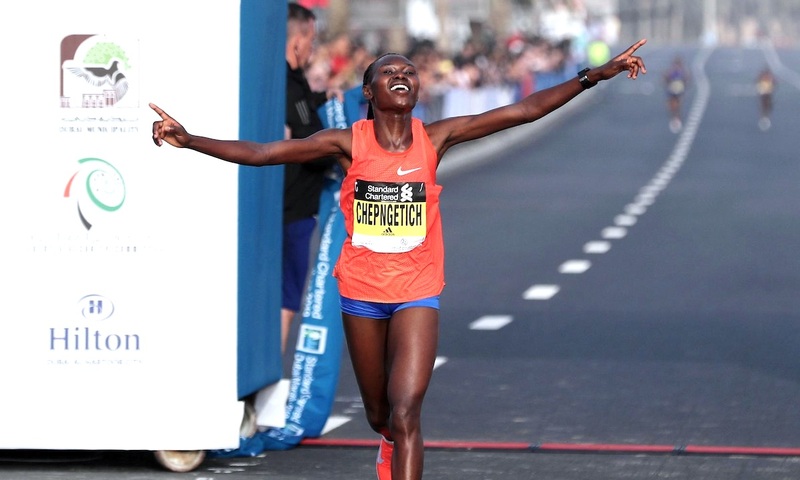 Ethiopia’s Getaneh Molla and Kenya’s Ruth Chepngetich broke the course records to win the Standard Chartered Dubai Marathon on Friday (January 25). 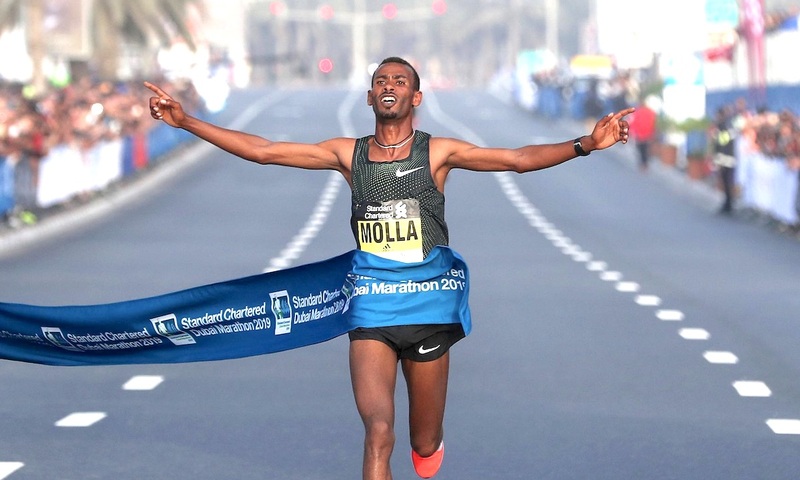 Molla ran the fastest ever debut marathon in history to win the men’s race in a lightning quick time of 2:03:34. 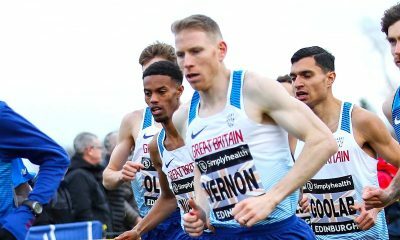 The 25 year-old finished six seconds ahead of compatriot Herpassa Negasa (2:03:40) to ensure the men’s course record was broken in Dubai for a third straight year. 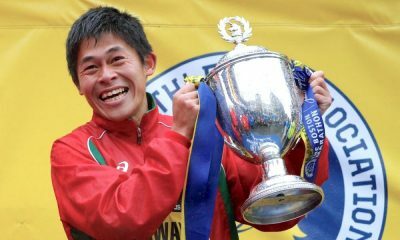 Molla and Negasa are now the sixth and eighth fastest marathoners in history. 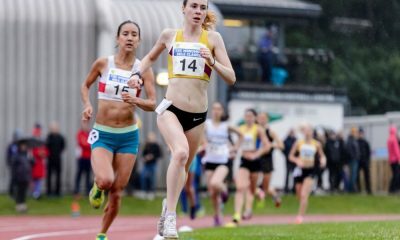 As well as a 12:59.58 clocking over 5000m, Molla has previously run strongly over 13.1 miles including 60:34 in Lille and 60:47 at the World Half Marathon Championships in Valencia last year. Nagasa himself took more than five minutes off his PB to claim the second podium spot, while fellow Ethiopian Asefa Mengstu completed the top three in 2:04:24. 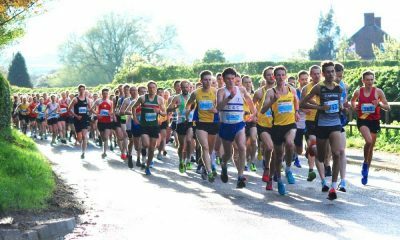 Mengstu was 18 seconds off his 2:04:06 PB from last year’s race where six men memorably finished between 2:04 and 2:04:15. Guye Adola previously held the honour of the quickest debut after running 2:03:46 at the 2017 Berlin Marathon, while Moses Mosop has also run 2:03:06 on Boston’s point-to-point course, however, the nature of the course is not officially recognised. The United Arab Emirates city is renowned for fast marathon performances and the top two finishers in the women’s race jump to third and fourth in the world after 2:17:07 and 2:17:41 runs. Chepngetich broke the women’s course record after crossing the finish line 34 seconds ahead of Worknesh Degefa. The 24 year-old’s winning performance was a four minute PB and comes less than three months after running 2:18:35 to take the victory at the Istanbul Marathon. Degefa’s 2:17:41 clocking for second is a new Ethiopian record, while compatriot Workenesh Edesa finished third in 2:21:05. Chepngetich and Degefa have now surpassed Tirunesh Dibaba on the women’s all-time rankings, with only Paula Radcliffe and Mary Keitany running faster marathons.